We have a new offering on the first Wednesday of each month at Wednesday Night Live. We want the kids to get to know our Pastors! 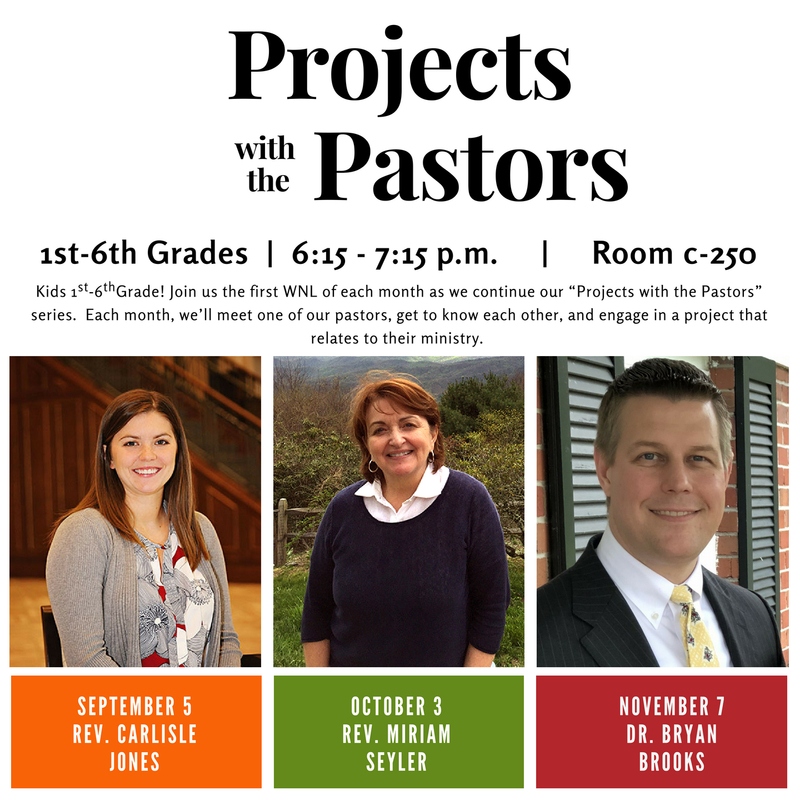 Each month a different pastor will share one of their passions with children grades 1-6. Games & God and Wednesday Night Tweens will not meet these nights. All classes will be in children’s area.